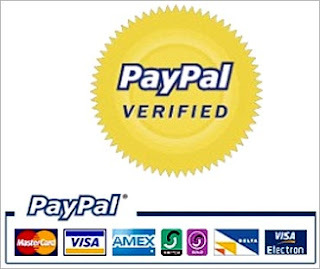 In this post I’m going to explain how to verify PayPal account for India country. Please note verification means it’s not email verification or an mobile verification, it refers to your Indian bank account verification or an credit card verification. You need to be a verified PayPal user to receive or send money via PayPal account. In other words sending money even requires you to verify your credit card too along with the Indian bank account or a credit card alone could work. 1. Go To PayPal Sign-up Form. 2. Choose your country and select a plan. Personal – You can only buy via your PayPal account and you cannot receive money into your account. Premier – You can Shop online or Receive money into your PayPal account. Business – Provides all kinds of transaction facilities. Choose a plan depending upon your best needs and all the plans (Personal / Premier / Business) are free to sign up. Premier plan for normal users. If you need to use merchant service for selling products on your website, then you must go for a business plan. 3. A new window open and looking for various information’s about you like your name, postal address, mobile number, Email and PAN (permanent account number) number. PAN card issue by income tax department. You need to fill PAN card number field with some suitable alphanumeric value which is of 10 digits. 4. Choose agree terms and continue button. 5. Your PayPal account is set now. You will notice account type and your status will be unverified. Basically Verify your Email Address (mandatory) and Mobile number (optional). This completes the first step process. 6. Once after your account has crossed all the above explained steps, move the cursor to profile option and choose the Add / Edit Bank Account option. Click on Add button – Carefully fill this form with your exact name on Indian bank account passbook, bank name, account number and mention your bank ifsc code. You can find this code in your bank cheque book or you can find online ifsc code by railrani.com website. Verifies your Indian bank account and you are now verified to receive money to your PayPal account and withdraw your PayPal balance to your bank account which takes around 5-6 days to make the withdrawn money to be visible on your Indian bank account balance. This process is free in India.